The Chiari Project looks forward to gaining more specialists from around the globe to form an elite group to discover more pain management solutions. Dr. Zeltzer is a neuro-oncologist, educator, inventor, brain cancer researcher and author whose medical career spans 30 years with expertise in the areas of neuro-oncology, immunotherapy, and clinical trials against cancer. Dr. Zeltzer’s expertise in the field of immunotherapy includes early work using antigen presenting cells while at the University of California Irvine, and dendritic cell-based immunotherapy while at Cedars-Sinai Hospital in Los Angeles, where he held the position of Neuro-oncologist at the Maxine Dunitz Neurosurgical Institute. Currently he serves as the Co-Director of “Whole Child LA” and joins their clinical team with expertise in diagnosis and management of pain in children with cancer and blood diseases. 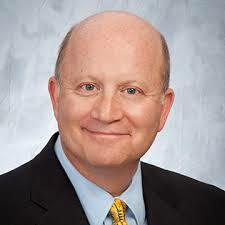 He is Board-Certified in Pediatric Hematology and Oncology. In his career he developed and directed clinical investigations for leukemia and brain tumors with the National Cancer Institute and private industry sponsored clinical trials, as well as editing two major text books in Oncology and Neurooncology. His CV consists of over 130 publications studying molecular biology, treatment results, and long term outcomes of cancer treatment. He is an advisor and supports more than five pediatric and adult cancer websites. He is a Clinical Professor in Neurosurgery, Geffen School of Medicine, University of California at Los Angeles. Dr. Zeltzer has provided exceptional guidance for The Chiari Project Pain Management Guide which is currently in development. Amin Javid D.C. is a Nationally Published Author in the field of Human Biomechanics. Dr. Javid. is a State and National Board-Certified Chiropractic physician. He is one of the industry’s most sought-after physicians and Medical illustrators whose knowledge and expertise have been commissioned by other physicians and healthcare institutions worldwide. Dr. Javid is a chiefly evidence-based physician whose ability to correctly diagnose and treat patients resides in his ‘whole body’ approach. 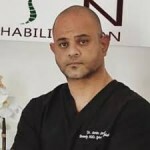 As a result of his knowledge and unique abilities, Dr. Javid is called upon to advise healthcare teams in motor-related management of disorders such as Traumatic Brain Injuries, Fibromyalgia, Cerebral Palsy and Muscular Dystrophy. His unique set of skills has earned Dr. Javid the label of being awarded the Top Chiropractor of 2018 by Los Angeles Magazine. After having done extensive research on the healing benefits of CBD, Dr. Javid has also recently developed a CBD/botanical pain balm that replacing prescription medications. He earned his Doctorate at the University of Bridgeport, Connecticut. Dr. Javid currently practices in the heart of Beverly Hills California where he has established himself as one of the most sought-after musculoskeletal experts in the country. He is the Director of the PERFORMANCE Joint Regeneration program in Beverly Hills, CA and is on the Medical Advisory Board of both AguaInternational.org and Chiariproject.org. Dr. Javid is excited to assist in the discovery of pain management solutions for Chiari Malformation and related neurological conditions. The Chiari Project is currently building this Advisory Panel which will choose ideal candidates for fellowships and additional medical research at the university level. Bryn Martin is an assistant professor of Biological Engineering and leads research within the Neurophysiological Imaging and Modeling Laboratory (www.NIML.org). Martin conducts clinical translational research that aims to improve human health and well-being for the millions of people affected by central nervous system (CNS) disorders. 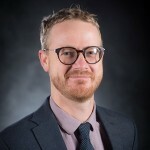 His research develops and applies advanced MR imaging and computational modeling techniques to investigate the pathophysiology of CNS disorders and therapeutics from a hydrodynamic and biomechanical perspective and develop related medical technologies. Prior to joining UI, Martin served as director of the Conquer Chiari Research Center at the University of Akron (2012-15), completed post-doctoral training at the Swiss Federal Institute of Technology (2009-12) and earned a doctorate in Mechanical Engineering at the University of Illinois at Chicago (2008). Martin has been employed in a number of medical device companies and is an active medtech inventor and consultant. He serves on a number of international research committees in the field of cerebrospinal fluid dynamics and CNS diseases. Dr. Richard G. Ellenbogen is chief of the Division of Neurosurgery and fellowship director of neurological surgery at Seattle Childrens Hospital. He is professor and chairman of the Department of Neurological Surgery at the University of Washington School of Medicine and chief of neurological surgery at Harborview Medical Center. His clinical practice focuses on pediatric and adult brain tumors, craniofacial anomalies, Chiari malformations, trauma, minimally invasive brain surgery and spine surgery. He served in the U.S. Army, attaining the rank of Lieutenant Colonel, and received the Bronze Star, the Meritorious Service Medal, the National Defense Service Medal and the Army Reserve Medal. Ellenbogen has editorial duties on several journals, and he has published three books, including Clinical Neurosurgery and Principles of Neurosurgery, a basic textbook of neurological surgery. He has authored numerous articles, book chapters, and presentations. 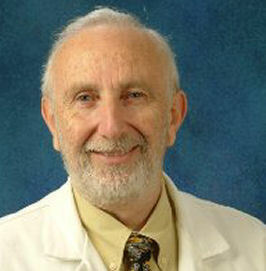 Dr. Ellenbogen will serve on the panel of specialist when choosing candidates for the fellowships. Dr. Michael Freeman is a doctor of medicine and epidemiologist specializing in legal applications of epidemiology and statistics and forensic medicine. He serves as a (full) Affiliate Professor of Epidemiology and Psychiatry at Oregon Health & Science University School of Medicine. Dr. Freeman is also an Adjunct Professor of Forensic Medicine at the Department of Forensic Medicine at Aarhus University, and serves as an Affiliate Medical Examiner with the Allegheny County Medical Examiner’s office in Pittsburg, PA.
Dr. Freeman has more than 170 published scientific papers, books, and book chapters on forensic medicine and forensic applications of epidemiology, crash-related injuries and death, general and specific causation, and a variety of other areas of interest. Dr. Freeman is also the author of the largest study of the prevalence of Chiari malformation and cerebellar tonsillar ectopia among patients with head and neck trauma to date. He continues to participate in research pertaining to cerebral spinal fluid flow aberrations in Chiari. Dr. Freeman has served in US, Canadian, European and Australian civil courts approximately 300 times as an expert in a variety of fields including injury and death litigation as well as for criminal matters, including serving as an expert to prosecution and defense in homicide and pediatric abuse cases.